One of the most important lessons Jim Noga has learned during his 17 years in health IT leadership is that no matter how much education and planning go into a project, there will be a period of adjustment — and there’s no way leaders can avoid it. What they can do, however, is take steps to ease the burden. When Partners embarked on a five-year initiative to implement Epic across the system, Noga made sure that various stakeholders were at the table, providing input. The goal was to have a system that didn’t just meet the needs of clinicians, but all users — including patients. In this interview, he talks how Partners viewed the Epic project as a “foundation” on which to build future functionalities, why innovation can never take a backseat, and why data governance is “necessary for the sustainability of the entire organization.” He also speaks about the key challenges in transitioning from Mass General CIO to Partners CIO, why it’s time to stop viewing IT as a component of the organization’s strategy, and how something as simple as wayfinding can have a huge impact on patient care. Even though Partners eCare is through that initial phase, I’m guessing with the new affiliations and ambulatory strategy growth, we’ll never really be complete in terms of implementations, but the focus is shifting to support optimization. We were spending more and more time on regulatory initiatives, and so by putting in Epic, especially now with their open APIs, we can start to focus on innovation in healthcare IT, understanding that you have to do the run and build very well. The last five years was about what we needed to be done; we needed to get the enterprise EMR in. But now we’re looking at how, in an innovative way, are we able to deliver a better patient experience as well as extend our expertise of our physicians. We wanted to make sure that Partners eCare was not viewed as a rip and replace of IT systems, but more a platform for clinical transformation and innovation. But change is hard. It always is hard. It takes time to really learn a new system. Gamble: Hi Jim, thanks so much for joining us today. I think everybody is pretty familiar with Partners at this point, but just in a nutshell, what do you have in terms of hospitals and ambulatory care? Noga: We’re not-for-profit system with a focus on patient care, research, and teaching, and service to the community, both locally and globally. Its founding members were the Brigham Women’s Hospital and Massachusetts General Hospital. We also have community hospitals, specialty hospitals, home care, and rehab. The number of what I would call community and non-acute is about 12 different community and non-acute organizations. Additionally, we also have the MGH Institute of Health Professionals, which is an accredited college. We have over 64,000 employees and are the largest employer in the Commonwealth of Massachusetts. Gamble: With the hospitals, what has the strategy been with acquisitions and things like that? Partners has obviously experienced growth over the last couple of years. Noga: The growth strategy has been very deliberate in terms of supporting the entire continuum of care as we move to population health management and value-based care, making sure we can provide the right care in the right place. That’s been the objective of our growth strategy locally and globally. We do a lot of international consultations as well as extending things like e-visits and e-consults outside of the region so that others can have access to our world class physicians. Gamble: Are the international consults limited at this point to specialty cases? How does that go? Noga: When I talk about international consulting, we’re helping to build hospitals in China, Thailand, and other areas throughout the world. Gamble: All right. So obviously, the last couple of years have been pretty focused on Partners eCare. At this point, are all or most of the hospitals live on Epic? Noga: Yes, all that were in our original five-year plan. We’ve had additional acquisitions and we’re now planning for those implementations. So even though Partners eCare (a.k.a. Epic) is through that initial phase, I’m guessing with the new affiliations and ambulatory strategy growth, we’ll never really be complete in terms of implementations, but the focus is shifting to support optimization. Gamble: Right. For the most part, with the hospitals with this, with at least the hospitals that were involved in that five-year plan, how was it structured? Was it done as one at a time or more of a big bang? Noga: It was really done in logical clusters based on patient populations with Brigham and Women’s, and also with Dana Farber, Faulkner, Mass General, Mass Eye and Ear, and Newton-Wellesley. So we’ve had clusters of inpatient acute care facilities, non-acute, and ambulatory. We really thought it out carefully in terms of not just the capacity of a team but what I would call logical patient populations. Gamble: Right. In terms of the ambulatory locations, what is the strategy as far as bringing them onto Epic? Are there certain schedules you try to keep to? Noga: Yes. 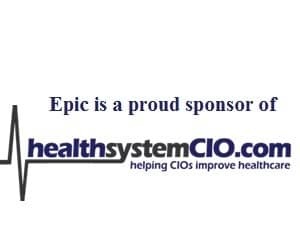 I would say we have a pretty good playbook at this point in terms of how to bring a practice onto Epic and how to convert data from their legacy EMR. I don’t think you ever perfect it, but I would say we have a solid playbook as to how to do that. Gamble: Right. Now, when the whole five-year plan kicked off, were you the Partners CIO, or were you CIO at Mass General? 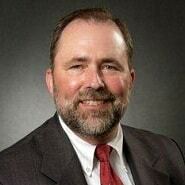 Noga: I was the CIO at Partners. So I actually signed the Epic contract personally. Gamble: Okay, that makes sense. I would think they’d want to have the person in place before something of this magnitude kicks off. Noga: Yes. When I came into the role of Partners’ CIO, we were actually still in the evaluation and selection phases, really what I spent my first year as CIO. And then obviously, we decided on Epic and quickly moved forward. Gamble: Right. Before that, was most or all of Partners on homegrown systems? Noga: No, there was a lot of heterogeneity. We had homegrown at the academic medical centers. At the community hospitals, we had Meditech, we had what is now Cerner’s Envision, and we had CTSI, and we had Cerner in home care. So we really had a variety of systems, and we had built amongst those systems, in the interstitial space, things like an enterprise master patient index, an immunization record, a clinical data repository where we were working toward achieving a single view, but from multiple sources. But obviously, you can’t necessarily gain the operational efficiencies and other things that you’re capable of when you have a true enterprise EMR. And then I think we also felt with the regulatory pressures of Meaningful Use, it wasn’t really allowing us to innovate, which really had been what we were known for. We were spending more and more time on regulatory initiatives, and so by putting in Epic, especially now with their open APIs, we can start to focus on innovation in healthcare IT, understanding that you have to do the run and build very well. And even within Epic, there is an optimization component in addition to an innovation component. Gamble: When you talk about innovation, obviously there’s such a big umbrella of things that can fall under that. Are you talking about finding different ways to do things more efficiently, or the whole gamut of innovation, which can also mean coming up with new solutions? Noga: I would say Partners eCare was foundational. What we’re starting to look toward are things like business intelligence and analytics, population health management, and artificial intelligence and machine learning. We’ve built out a Partners Data Lake with the underpinnings such as Hadoop for AI and machine learning. We’re working with both GE and NVIDIA on their GPUs, and we’re starting a focus on imaging. We’ve established a Mass General and Brigham and Women’s clinical data science center with some top-shelf data scientists and are starting to pursue that aggressively. Additionally, I think now our focus is starting to look toward digital health, and that’s building out the patient experience, clinician experience, telehealth, and other innovative things like wayfinding — really finding new ways to really provide support for community physicians. Epic is a component of that, but it isn’t necessarily the entire picture. It is, as I mentioned, foundational. So that’s really what our new focus is, understanding the last five years was about what we needed to be done; we needed to get the enterprise EMR in. But now we’re looking at how, in an innovative way, are we able to deliver a better patient experience as well as extend our expertise of our physicians into Eastern Massachusetts, and then nationally, and globally? Gamble: I would imagine that even as all the work is being done to get Epic in, the underpinnings are being put in for the optimization efforts so that it doesn’t just become switching from A to B. I’m sure it was important to start laying that groundwork beforehand to be able to get right into optimization. Noga: I think what’s important is we wanted to make sure that Partners eCare was not viewed as a rip and replace of IT systems, but more a platform for clinical transformation and innovation. But change is hard. It always is hard. It takes time to really learn a new system, especially when we’ve had homegrown systems that have been in place for decades at the AMCs. People have equated it to learning a new language. It takes usually a year or two before you dream in a new language. Otherwise, you keep referencing back to your native language, which I think we’ve seen clinicians go through that learning process.